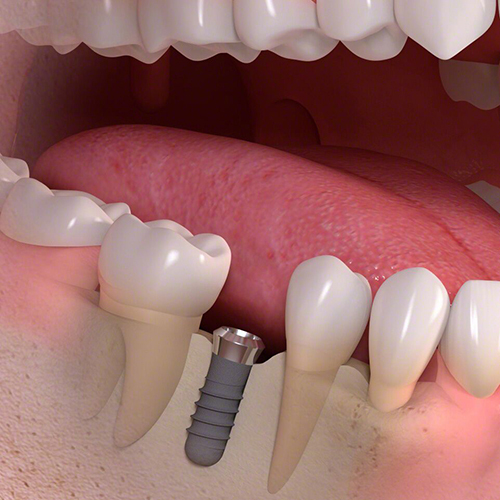 Dental implants are a permanent solution to replacing one or more missing teeth. They are the best solution for many people as there is no need to wear a denture or to drill healthy adjacent teeth. The implant is placed directly into your jaw in a fairly painless minor procedure under local anaesthetic, and after three months (to allow healing to occur and for your bone to fuse with the implant) the final restoration – a crown or bridge, for instance – can be placed without the need for any more injections. 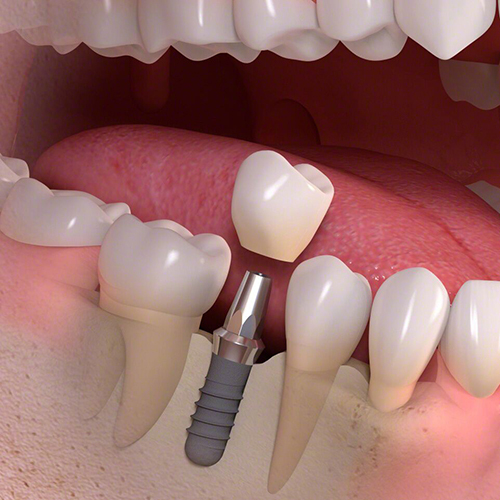 Candidates for this procedure require healthy gums and adequate bone to support the implant. We will conduct a thorough evaluation to determine whether you are suitable for dental implants. 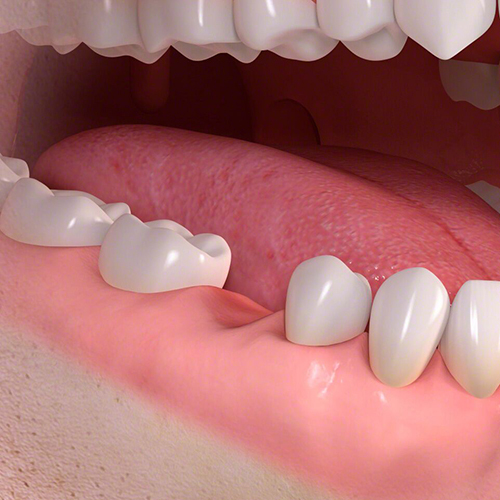 Improved function – they act and feel like real teeth. Enjoy your favourite foods – you can eat and chew again without pain or irritation. No more adhesives – there is no need to use ‘glue’ when your prosthesis is anchored to implants. Maintains bone structure – Implants can help maintain your bone structure and support your facial tissues, maintaining the natural shape of your jaw. Improved hygiene – you brush and floss them as if they were your own teeth.